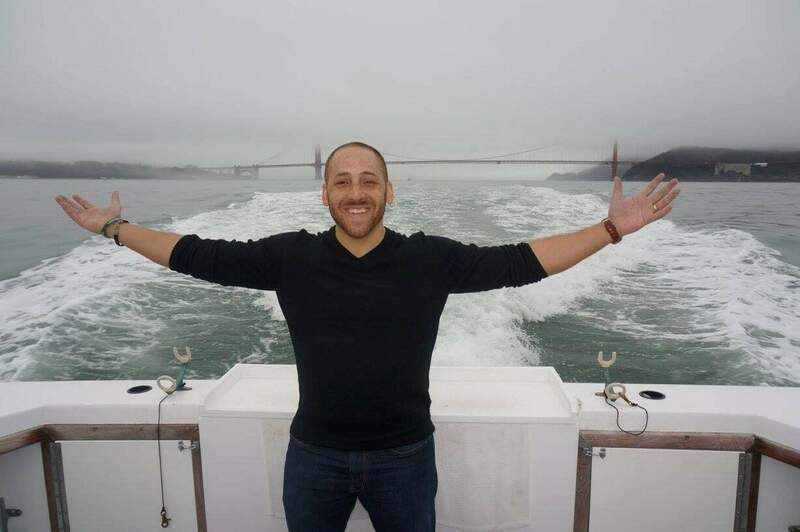 Kevin Hines is among the 1 percent of people to survive jumping off the Golden Gate Bridge. He will share his story Monday at the Fort Lewis College Community Concert Hall. A suicide survivor who jumped off the Golden Gate Bridge will share his story in Durango next week. Kevin Hines jumped in 2000 after he was diagnosed with bipolar disorder. It was a decision he instantly regretted, and since then, he has become a nationally recognized activist for mental health. Fort Lewis College Student Wellness Coordinator Kendra Gallegos Reichle and two other students saw Hines speak at a conference last year, a few months after FLC graduate Giancarlo Vigil died by suicide. In the months after Vigil’s death, it seemed like suicide was constantly in the news, she said. “The timing was pretty intense,” she said. They said Hines’ message would resonate with Durango residents and decided to bring him to town through Fort Lewis College’s Wellness Peer Advisory Council, or WellPAC. “I believe that Kevin speaks our community’s language. One of his main messages – ‘It’s OK to not be OK, but it’s not OK not to ask for help’ – is powerful and life changing,” said Veronica Krupnick, another student who saw Hines speak last year and who helped organize his local appearance. Gallegos Reichle hopes Hines’ message will help the community be more open about suicide and mental health and inspire attendees to support others in the community. Many people experience thoughts of suicide and hopelessness or know someone with similar struggles. A community conversation can help normalize that struggle for others, who may not be seeking counseling, she said. WellPAC, which is funded by student fees, provides a holistic approach to health and wellness on campus. But Hines’ speech will be open to the greater community because suicide is a widespread problem, Gallegos Reichle said. “We want people to walk away with hope,” she said. Krupnick didn’t think it would be possible to bring Hines to town but found a wide variety of organizations, including some not directly involved with health, that were willing to sponsor the event. “I think no matter who you are, you can learn something from him,” she said. To learn more about Hines, visit kevinhinesstory.com. Kevin Hines, suicide survivor and author of Cracked, Not Broken: Surviving and Thriving After a Suicide Attempt, will talk about his experience and how he overcame mental illness at 6:30 p.m. Monday at the Community Concert Hall at Fort Lewis College, 1000 Rim Drive.The event is free and open to all. However, because of the subject matter, parents are asked to use discretion when deciding to bring their children. For more information, call Kendra Gallegos Reichle at 247-7508 or visit www.fortlewis.edu/kevinhines. San Juan Basin Public Health will hold two brief suicide intervention trainings Thursday at Fort Lewis College. The first will be held from 1 to 2 p.m. at Noble Hall in Room 140 and the second will be from 5 to 6 p.m. at the Student Union in Suite 163. For more information, call Gordon South at (970) 335-2091.